With Logic Pro X becoming more complicated than any other Digital Audio Workspace (DAW) on the market. It’s clear that the program’s unique way of letting users record and produce audio has become a golden standard for enthusiasts. However, with so many features available within the program, simply using a keyboard has quickly become insufficient. To maintain a consistent and quick workflow, using a control surface has become more and more necessary. That being said, the market of control surfaces currently available is constantly growing, bringing up the question: where do you even start? 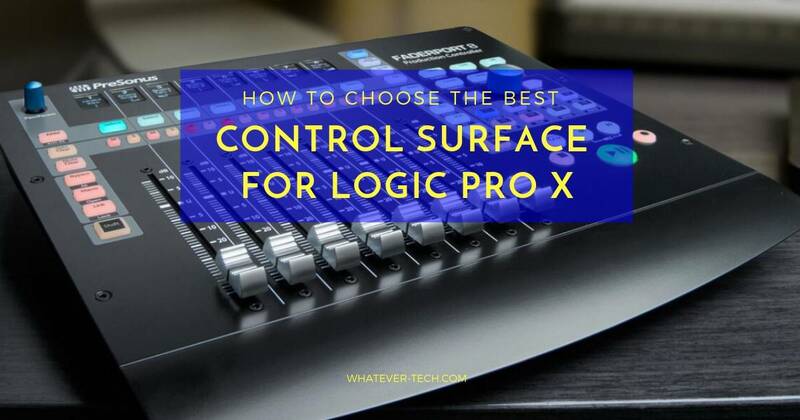 Despite finding an effective control surface seeming like a daunting task, it is possible to find the best Control Surface for Logic Pro X. This is why we’re here to help — in this article, we’ll be taking a look at the many things you should be looking out for when shopping for a control surface. To do this, we’ll be providing a Buyer’s Guide of Frequently Asked Questions alongside reviews of 3 of the market’s most notable models. What is the Best Control Surface for Logic Pro X April, 2019? Is there any setup required for these devices? Do these products come with their associated power supplies? How portable are these control surfaces? Will this take precedent over my keyboard in Logic? Do I need an adapter to connect any of these control surfaces? Can you use these devices right out of the box? Before we begin the reviews, here is a comparison table so you can get an idea of what each product is like. PreSonus FADERPORT 9 VDC, 1.2 A external power supply 5.25”(L) x 7”(W) x 1.75”(H) 1 lb Check price! Icon Pro Audio ICOC-PLATFORMMM+ 12V 2.5A DC 15.55”(L) x 7.7”(W) x 1.6”(H) 3.63 lb Check price! Icon Pro Audio QCONPROX 12V 2.5A DC 18.62”(L) x 16.38”(W) x 7.4”(H) 13.2 lb Check price! 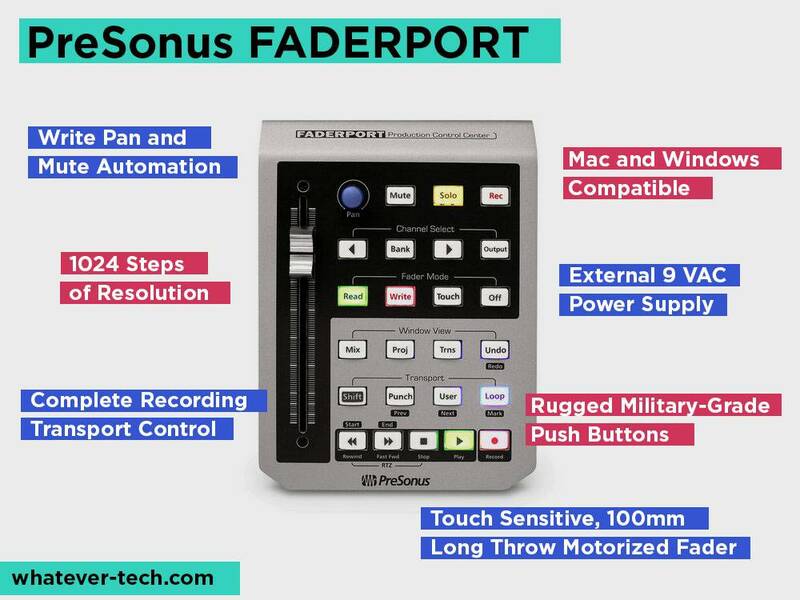 As the cheapest item on this list, the PreSonus FADERPORT gives you a good idea of what a budget control surface can get you. You’ll notice that there are significantly fewer options compared to the more expensive models on this list, but what you get is pretty effective. 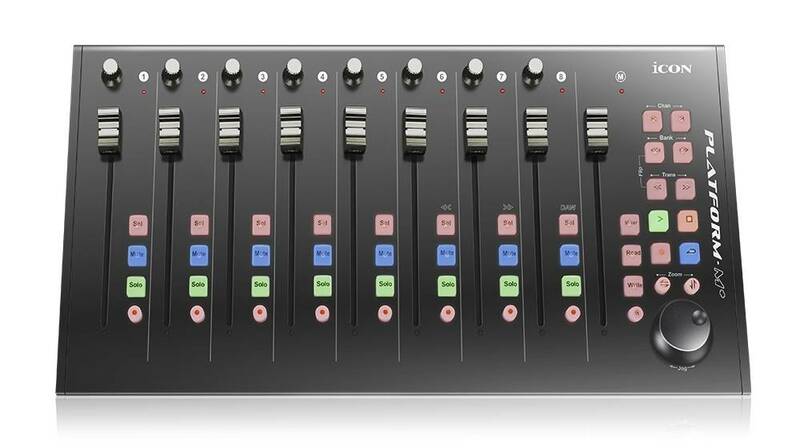 For example, the 100mm longthrow motorized fader is good and intuitive, letting you easily adjust the levels on your tracks without having to grab and click it on the DAW with your mouse. Something that we appreciated about this fader, though, is that it feels especially comfortable to use regardless of how many fingers you have on it, something we believe is a testament to the specific grip. There is also a sense of nuance that can be achieved with this fader that isn’t like the other budget products on the market, having a sense of weight that allows you to have true precision in the tracks that you are making. Something that we think could be negative for some users about this product, though, is that the overall size of the unit is pretty small. Based on how it looks in photos, you’d expect it to be at least 2 inches bigger all around, but the dimensions end up being 5.2 x 1.8 x 7 inches overall. Despite this, we didn’t find any specific issues with the product being too small during our usage of it, but thought it was worth mentioning because of how people with larger fingers or hands might feel when using it. The jog wheel also allows you to have a good sense of control while using the product. There are no buttons that we really had issues with in terms of comfort and being able to handle a good deal of weight, but it’s worth mentioning that Logic Pro X did not bring up the product immediately when we plugged it in. In order to get it to work, we had to hard reset Logic and then select the MCU mode, but after that everything worked very well. The product itself is quite sleek, allowing you to get a lot of functionality and convenience out of the jump options. A subtle touch that we love about this control surface is that it comes with Velcro to attach to its back so you can secure it directly to the space you’re working on. Because of how many times we’ve tried control surfaces only to find out that they won’t stick to the table, this was a great feature that we appreciated. Overall, this is undoubtedly the best control surface for Logic Pro X you’ll find on a budget. At just around $100, it’s a fraction of the price of the other models on this list and certainly a steal if you’re somebody looking to try out a control surface but not wanting to invest a great deal of money to do so. And, unless you have to control music that is built up of extensive amounts of layers and tracks, you shouldn’t have to. If you’re somebody who is interested in a model that has a larger variety of features than the PreSonus FADERPORT, look no further than the Icon Pro Audio ICOC_PLATFORMMM+ model. 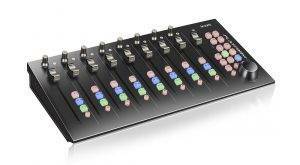 This control surface boasts an incredible amount of features, whether it be the 9 different faders or the 8 dual-function encoder knobs. No matter how you look at it, this is a very flexible product, allowing you to have some of the nuance done so efficiently in high-end models without having to dig too deep into your wallet to do so. This is a wonderfully-sized device, allowing you to use both hands and equally space things out so there is no cramming on either side. The buttons are also pretty well-spaced apart from each other, making button pressing on the fly even easier. Out of all of the control surfaces available on the market right now, this is the one that you’ll want to bring with you to a DJing gig. The weight is not that heavy (only 3.63 lb) and it has just enough nuance to let you adjust various aspects of the music on the fly, making it a perfect portable option for anyone looking to control their DAW while it’s in motion. This is possibly what distinguishes this device so much from the rest of the competition, as it is geared just as much towards playing live music as it is working within a studio setting. If you’re working in the dark, the backlit buttons will also help, giving you intense clarity in a variety of situations. Something that should be noted, though, is the lack of customer support that is currently available for this device. Icon Pro are notorious for not answering customer service questions promptly, leaving some users in the dark when trying to get replacement parts or ask questions about their product. For us, this didn’t really happen, but it’s worth noting simply due to how many we’ve heard of having these types of experiences with the company. That being said, the product is incredibly durable and we have not even had to contact the company regarding any issues. In fact, when taking it around and using it in a variety of situations, we were surprised to see how well the control surface retained the same elegant shine that it came with straight out of the box. For those who want to get into more detailed editing, there are many different buttons allowing you to control banking and encoding across all 8 tracks at the same time, perfect for those producers that are recording bands live in the studio and trying to balance many aspects of the music all at once. It’s also a great way to DJ, as you can control different tracks containing different songs at the same time, allowing you to prepare far in advance. If you’re looking at a control surface this high-end, it’s likely that you specifically need a surface to use in a professional recording studio. For that purpose, the Icon Pro Audio QCONPROX works very well, giving you a level of control and precision that will bring any work you do to a significantly more professional level. The first thing to be admired of this console after taking it out of the box is the design. Unlike all of the other control surfaces we’ve taken a look at so far in this article, the Icon Pro Audio QCONPROX has a wonderful tilt at the top of the surface that lets you see the levels for each track you’re adjusting. This is a subtle touch that can also be seen on Logic itself, but for those who don’t want to have their eyes switching between the surface and their computer screen while recording an artist, it allows you to keep track of everything in one place. No matter how dim the lights in your studio are, the well backlit lights behind the Icon Pro Audio QCONPROX will keep your entire setup clear, while the metal fader sliders feel incredibly comfortable to use. 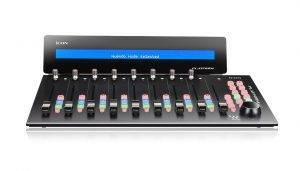 The space between the faders also makes it easy to slide multiple faders at once, allowing you to have a very seamless workflow without extending your fingers too much. The touch-sensitive fader for the master channel is also wonderful, allowing you to control multiple elements of the master track automatically. 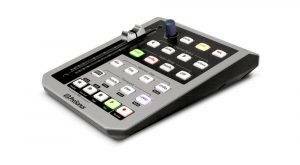 If you are someone who wants a control surface that you can also bring with you to live DJing gigs, this is not it. That is because this control surface is far too large to be considered portable and would certainly be susceptible to being injured if not handled very delicately. That being said, the design never took on much damage while we were using it, something that we believe is a testament to the Icon Pro’s general durability in design. Overall, this is a great product, but the price is likely prohibitive for many. If you really enjoyed the other Icon Pro product in this review but want more nuance, then this is perfect. Typically not, all it requires is plugging into Logic and switching your program to MCU mode, after which it will recognize the device each time. Yes — if they require a power supply to function, it will be included. All of the products listed here are able to work on Logic alongside other DAWs, making them compatible with any program you might have in mind. The only exception is the Icon Pro Audio QCONPROX, which does not currently work with FL Studio (“Fruity Loops”). 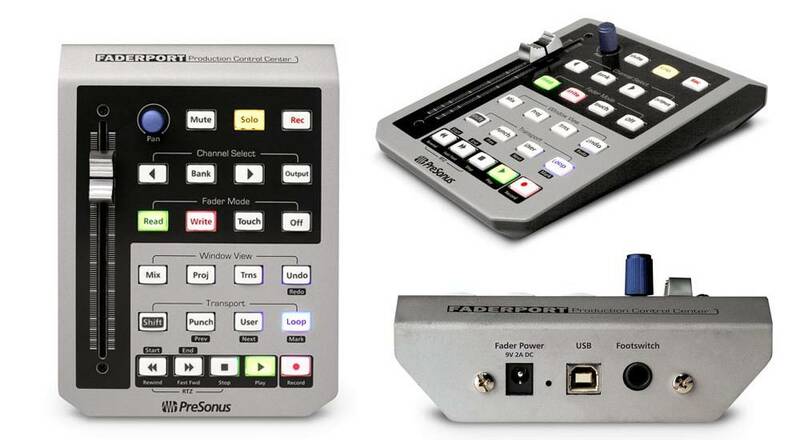 Whether or not the product is portable depends on the size, but all of the reviewed control surfaces above are portable except for the Icon Pro Audio QCONPROX. You can still get carrying cases for the latter, but it is not easily portable enough for us to list it as such. No. Control surfaces are meant to augment your Logic Pro X experience, not detract from it. They will work as another way to control the interface, but not replace anything. No, all of these devices connect via USB. Unless your computer does not have sufficient USB plugs (newer models of Macbook Pros might not), you do not need to purchase an adapter. Sometimes. For the first two items on this list, you can take them directly out and begin playing, but the Icon Pro Audio QCONPROX requires firmware updates to ensure that there are no bugs. 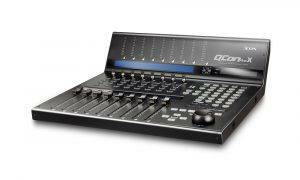 At the end of the day, the control surface that impressed us the most was the Icon Pro Audio ICOC-PLATFORMMM+. This is because it is the most versatile surface you can currently find on the market, allowing you to use it in a variety of situations. Whether it be while recording a band live, working in your home studio on electronic tracks, or controlling Logic Pro X while at a DJing gig, the Icon Pro Audio control surface is really powerful and flexible. This product is also very durable, not taking on any damage when being brought around to various gigs over the course of our month using it. At the end of the day, the ICOC-PLATFORMMM+ gives you a surprising level of comfort and flexibility for an incredibly moderate price. 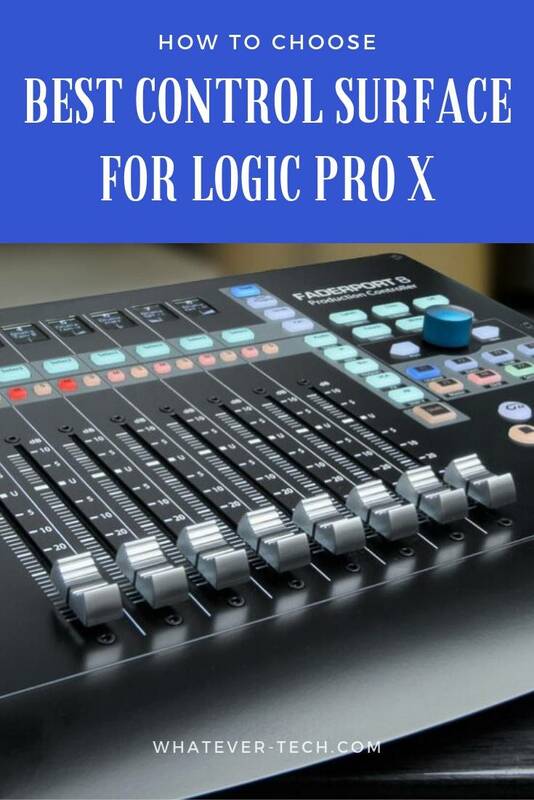 Because you shouldn’t need to purchase a more expensive control surface unless you require the added layer of complexity, we recommend this surface as the Best Control Surface for Logic Pro X. What did you think of this Buyer’s Guide to Control Surfaces for Logic Pro X? See any of your favorites? Any products you can’t wait to try out? Let us know what you think!